Justice Luis A. Lavin was appointed as an Associate Justice to the California Court of Appeal, Second Appellate District, Division Three, by Governor Edmund G. Brown, Jr. He was unanimously confirmed by the Commission on Judicial Appointments in July 2015. He has served as a member of the Judicial Council’s Appellate Indigent Defense Oversight Advisory Committee since 2016. Since joining the Court of Appeal, Justice Lavin has also served as a justice pro tempore on the California Supreme Court. Before his elevation to the Court of Appeal, Justice Lavin served for more than thirteen years as a trial judge on the Los Angeles Superior Court. He presided over civil, criminal, and family law cases. During his last three years on the trial court, he was assigned to a writs and receivers department, where he presided over traditional and administrative mandamus proceedings including cases brought under the California Environmental Quality Act. From October 2014 through February 2015, he also served as a justice pro tempore on the Court of Appeal. 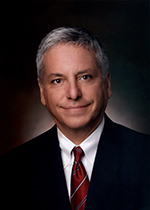 Prior to his appointment to the trial court, Justice Lavin was Director of Enforcement and General Counsel for the Los Angeles City Ethics Commission. Before that, he served as a senior trial attorney with the Civil Rights Division of the United States Department of Justice. He also served as in-house counsel for a labor union and handled commercial litigation at law firms based in California and Massachusetts. Justice Lavin has taught as an adjunct professor at USC Gould School of Law and Southwestern Law School. He was also an instructor of judicial education for the California Center for Judicial Education and Research (CJER) and the Los Angeles Superior Court. He has taught judicial education courses on ethics and fairness, provisional remedies, case management, challenges to the pleadings, summary judgment motions, fiduciary duties, jury instructions, verdicts, post-trial motions, and bankruptcy. Justice Lavin received his law degree from Harvard Law School, where he served as an editor of the Harvard Women’s Law Journal. He received his bachelor’s degree from Cornell University. He is fluent in Spanish.